Below is a list of parades, events and fireworks in the Delaware County area. Don't forget the Wawa Welcome America celebration in Philadelphia that includes a parade on July 4th, concerts and outdoor movies. Click here for the calendar of events in Philadelphia. Please let me know if I forgot any and I will add them to the list. Celebrate America’s birthday in Upper Darby Township with the annual fireworks and concert by the one and only Blackthorn. The night will kick off with one of Delco’s favorite bands, Blackthorn, a high octane modern Celtic band that plays contemporary Irish music at its best. The celebration will continue with the Upper Darby Summer Stage Shooting Stars, a high-energy show choir that has traveled the East Coast performing in the Philadelphia Thanksgiving Day Parade, The Cherry Blossom Parade in Washington, D.C. and also at Walt Disney World. The night will culminate with the Delaware County’s best fireworks show that will light up the sky with a blaze of colors and patterns. Live band and Fireworks start at 7:00 on Friday, July 3rd at the lower Park. Parade, sporting contests and refreshments beginning at 8:30 am on Saturday, July 4th. Parade starts at Interboro High School and ends at the Upper Park. Join us on July 4th from 6:30 – 9:30 pm for our annual Independence Day Splash, an evening of fintastic patriotic fun for the whole family! Explore our 8,500 animals and exciting exhibits, including our all-new Hippo Haven experience, 40 foot shark tunnel through the largest collection of sharks on the East Coast, sea turtles, and more. Plus throughout the evening, enjoy themed activities including stilt walkers, a DJ Dance Party, special guests, free patriotic takeaways and more. Aston township will hold its annual fireworks display at dusk on July 4th at the Sun Valley High athletic field starting at 9:15. The Bethel Township Parks and Recreation Board invites our residents to celebrate the Fourth of July with a display of fireworks. 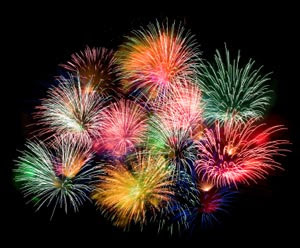 The fireworks will be launched from the Francis Harvey Green School site beginning at 9:30 PM. Parking will be available, but limited, at the Bethel Elementary School and Bethel Community Park on Foulk Road. The Union Athletic Association of Lansdowne presents the annual Independence Day parade featuring marching bands, antique cars, decorated bikes and floats. The route starts at 9 am on July 4th at East Greenwood & Wycombe Avenues, continues along Wycombe to Stewart, then north on Lansdowne Avenue to Essex, where it heads east to the Penn Wood High School field for prizes, awards, and games. Come out and watch the parade on July 4th starting at 10 AM. Parade starts at St. Alban's circle in Newtown Square and travels down West Chester Pike to the Broomall Fire Company. Stop by the fire house for free refreshments such as hot dogs, pretzels and bottled water. Join us on Saturday July 4th as we celebrate Independence day in the best little town ever of Narberth! Daytime activities start at 10:00am with game, music, great food, and great company! Check it out! And of course you don't want to miss out on the best Fireworks on the Mainline! Our fireworks are free! We only suggest you make a donation in one of our collection buckets! Garrett Hill Parade will be July 4th. Opening ceremonies of the parade is at 10:45a.m. at Clem Macrone Park. The annual Radnor Township July 4th Fireworks will take place at the Radnor High School fields on King of Prussia Road. Gates will open at 6:30 p.m. and the fireworks will begin at dusk. The stands will be open, or you can bring a picnic basket and chairs and sit on the field. . Tickets purchased in advance at the Radnor Township Building are $12 and tickets at the gate at $20. Rutledge 4th of July celebration will begin at 9:30 a.m. at Parade begins from the Borough Hall. Parade starts at 9:00am. Springfield High School West Leamy Avenue to Powell Road, left on Powell Road to Saxer Avenue, left on Saxer to Springfield Road, left on Springfield Road to Memorial Park. Ridley Park’s annual Big Bang Fireworks at The Lake begin at dusk on July 5th.